October is well and truly here! It’s the best month of the year not just because it’s my birthday month (hint hint nudge nudge), it also means that we get to celebrate Oktoberfest! 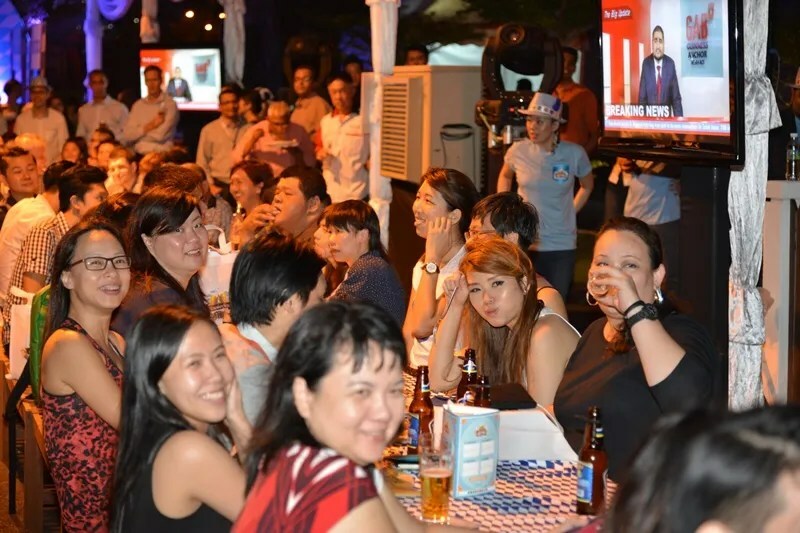 That’s right, I love it when us Malaysians embrace other culture’s celebration so willingly, but I suspect it’s because we get another excuse to drink! (Drink responsibly now guys and girls). Posing with our poison by the bar. By the way love the new look of the Tavern. We sat down with our food and drinks and hung out for a while before the official launch. Leading up to the launch, GAB has been dropping hints that something big is coming. “Does size matter?” “Is big better?” Well in this case I will put up both my hands and say yes! 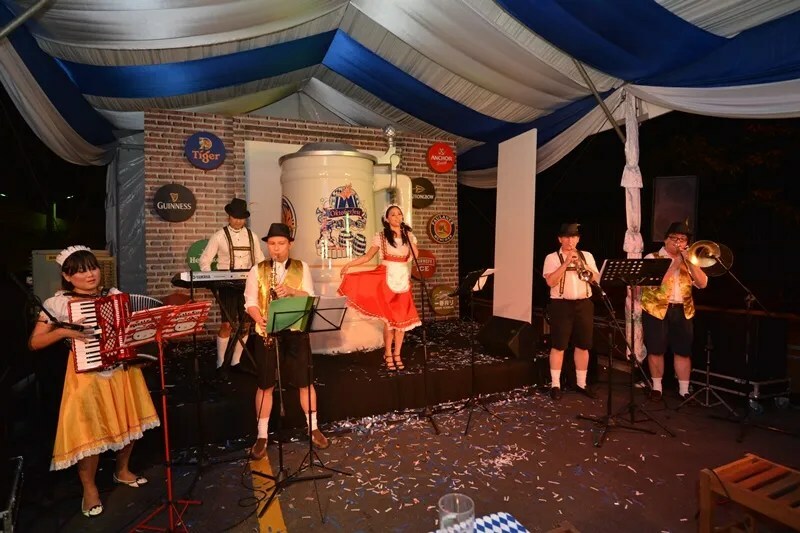 Hans Essaadi, managing director of GAB said: “Oktoberfest is a popular festival that many look forward to annually. And so this year, we decided we are going to commemorate it in a big, extraordinary way; hence the grandeur you see before you. This feat definitely has been a rewarding challenge especially now that we’ve set a new record in The Malaysia Book of Records” So what is it actually? Tan Sri Dato’ Danny Ooi, founder of the Malaysian Book of Records presenting the certificate to Hans Essaardi, Managing Director of GAB. Tada! A giant mug! 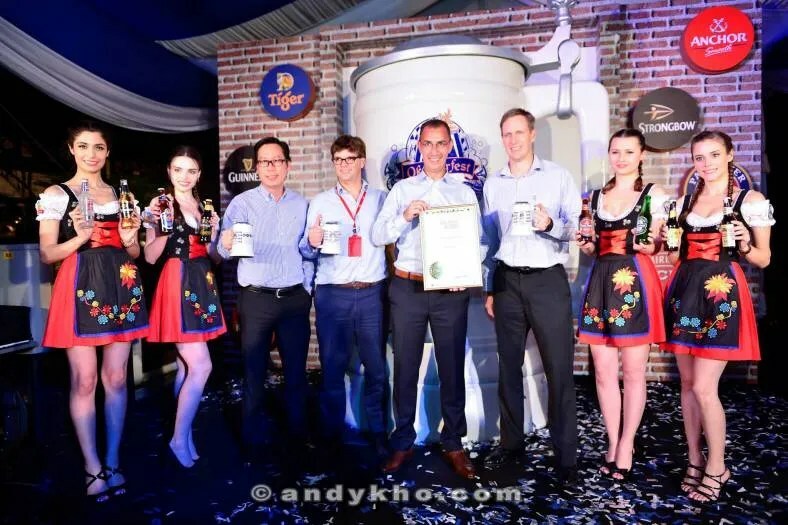 Stands 2.6m high and 1.72m wide, the giant replica of GAB’s Oktoberfest 2014 promotional mug has created a new record that was endorsed by The Malaysia Book of Records. The Biggest Mug is made out of fibre glass and took about a month to complete. The giant mug which can actually hold liquid, and it will be travelling around Peninsular Malaysia (check the end of the post for the locations) so you can have a closer look and partake in Malaysia’s Biggest Mug “Guess the Litre” challenge. 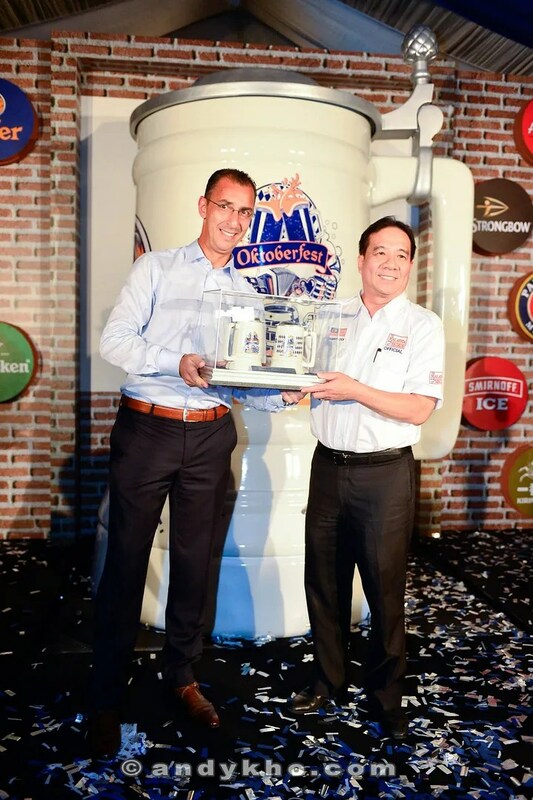 The top 5 participants who provide the correct or closest estimated volume of liquid the giant mug can hold, wins a year’s supply of Tiger Beer! So make sure you drop by at one of those locations to judge for yourself, and start counting! After the launch, we continued to enjoy the evening, while being entertained by an Oompah band. Of course, it wouldn’t be an Oktoberfest celebration without Chicken Dance! Me being me, grabbed the nearest girl and started dancing too. Well, it’s good to work off those beer calories! The crowd kept themselves entertained with the activities and games available at the party such as the beer stein race. Slide the stein to the right spot to win prizes. 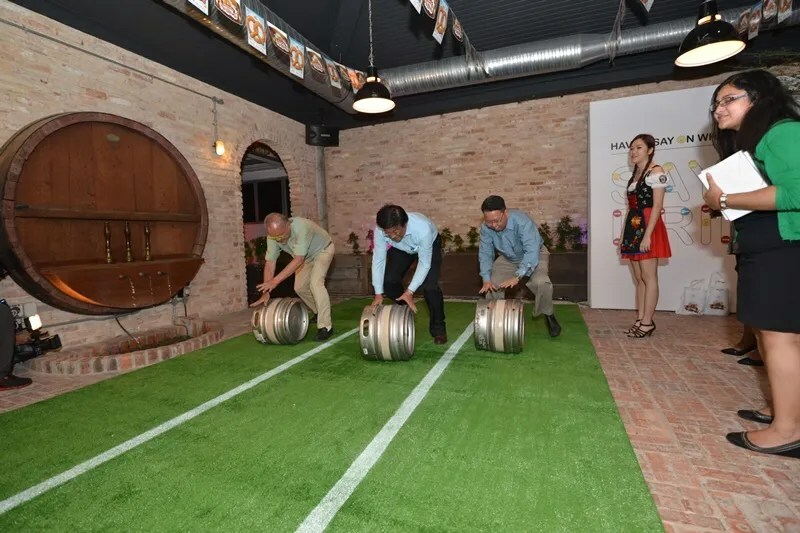 The more physical demanding would be the beer barrel race. 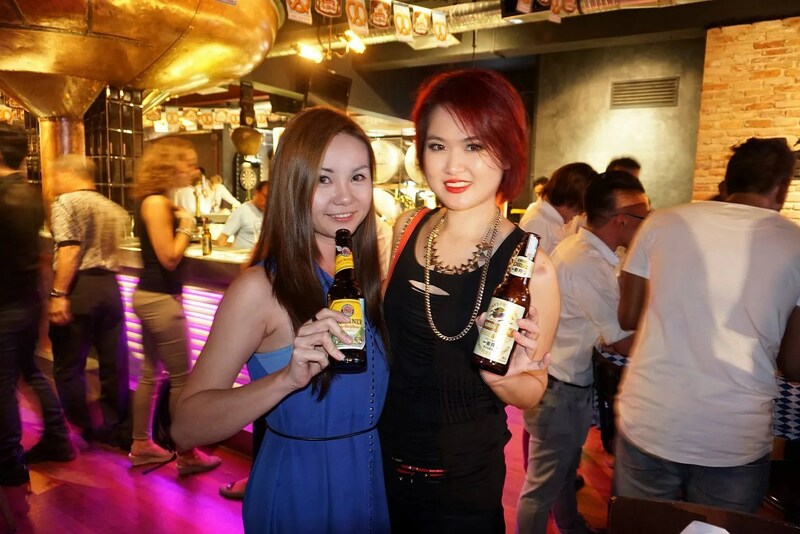 It was a pleasant night indeed, and I’m looking forward to more Oktoberfest parties!